What dates are available for outside users? My organization is a local community non-profit. Can we use the facilities for our event at no cost? No. We do not provide at-cost/free use of our facilities. The rental fees we charge are the only financial means of funding the on-going operations of the facility. Discounted rental fees are available to qualified non-profit events. How much will it cost to rent a facility if it is available? Please refer to our terms and rates page. May I supply my own technicians? You may suppliment our technicians with your own, but cannot replace ours. 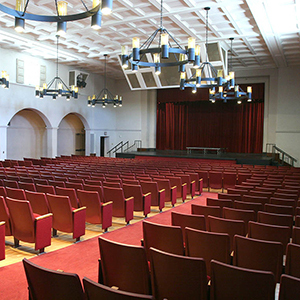 Does Fullerton College require insurance for rental events? A Certificate of Insurance, naming the NOCCCD (North Orange County Community College District) as insured, for minimum of $1 million, per incident/$3 million aggregate, AND, and additional Insured Endorsement. Pleave review Required Documents page for more information.